We have likely all heard about the major cybersecurity breach at Equifax. What makes this data breach so concerning is that Equifax is a credit bureau. Credit Bureaus hold and determine credit history for any adult with credit… that’s a lot of people! In addition to basic information like name, address, and history of financing, credit bureaus also hold Social Security numbers. These are all of the necessary ingredients to open a line of credit, so when they get in the wrong person’s hands, your identity could become compromised. This is no reason to panic. By taking the correct steps and doing so early, you can prevent anyone from opening a new line of credit in your name. Credit Bureaus like Equifax will allow you to freeze your credit for any set amount of time, usually up to seven years. This lets the consumer temporarily “unfreeze” their account to open any new line of credit that they approve, but will prevent anyone else from doing so. There are three major credit bureaus in America: TransUnion, Experian, and Equifax. In some rare cases, consumers may only be recognized by one, but most adults with credit are recognized by all three. Any time you apply for financing, the lender will run your credit through one of these three bureaus. Once you are accepted, your behavior with that line of credit will then be reported to the bureaus that the lender works with (in most cases, all three). What If I Need To Open a Line Of Credit? Freezing your credit is by no means equal to turning it off. Banks and lenders will continue to report to the bureaus, your credit score will continue to go up or down as related to your payment and usage behavior, and you will still be able to open new lines of financing as long as you follow the necessary steps. 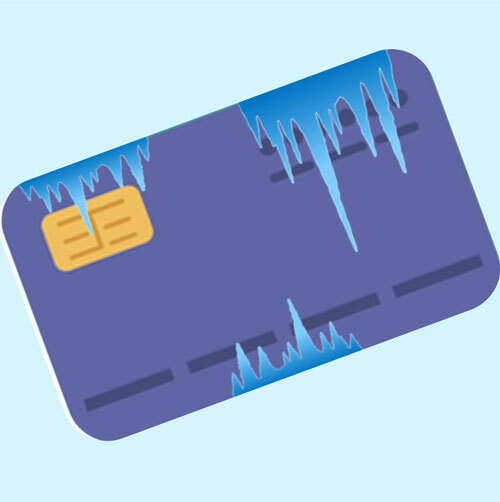 Once you have frozen your credit, you will be given a PIN number for each bureau. Hold on to these PINs! Keep them in a safe space that is easy for to you access. Let’s say you choose to apply for a mortgage with Equity Resources. The processor working on your file will contact you for the PIN needed to pull your credit score. They will introduce themselves and your Mortgage Specialist will likely let you know that their processor will be contacting you to retrieve the PIN. If you are at all suspicious about anything- call your Mortgage Specialist! They will be happy to facilitate a safe, secure exchange of information and make sure you feel comfortable. If you do not receive a PIN, there are other ways to temporarily lift the freeze and pull credit. To ensure safety, Equifax will require a written note from the consumer as well as proof of identification. TransUnion and Experian will only require a phone call. The wait time from calling to request a lift and receiving that lift will vary by state and may cost extra. Bureaus are required to approve the lift within three business days. You can expect the cost per lift to be $5-$10. You can order one free credit report a year at www.annualcreditreport.com. If you enroll in a credit monitoring service, you may be able to access your reports for free. Equifax is offering free monitoring to those affected, and companies like Discover and Capital One offer free credit scorecards each month. In most cases, anyone can access this service, but check with the creditor first. Equity Resources and our team of Mortgage Specialists are here to help. If you have any questions, don’t hesitate to reach out! We always want your experience with Equity Resources, Inc. to be quick, comfortable and honest. After all, our purpose is to improve the lives of families. Equity Resources is available at www.callequity.net and by phone at 1-800-270-7082.